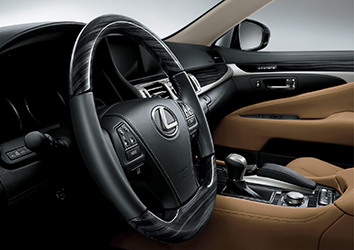 Those in search of the pinnacle of luxury in a sedan should look no further than the new 2016 Lexus LS. At the top of the Lexus sedan family, the LS is the all-out result of a no compromise and innovation based design that delivers nothing but awe-inspiring reactions to its performance, comfort level and suite of intuitive amenities. A 4.6-litre V8 engine capable of putting out 360 horsepower paired with an 8-speed automatic transmission makes the LS one of the most capable sedans on the market while maintaining perfectly smooth acceleration and optimal performance. An improved high rigidity body along with a sophisticated All-Wheel Drive (AWD) system balancing the power output between the front and rear wheels delivers a level of riding comfort and stability car lovers dream of. The 2016 Lexus LS is built with the highest quality components and design elements to achieve its highest levels of refinement to date. From the outside the LS strikes awe onto onlookers with its custom spindle grill, aerodynamic contours and LED headlamps. 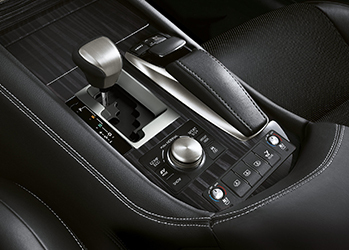 4-Zone climate control with automatic temperature assures each passenger their own comfortable place to sit while adaptive variable suspension is constantly adapting to the road to deliver the smoothest ride possible. Don't wait, come down to Lexus of Edmonton at 11204 170 Street NW, Edmonton, AB, and let us help you get into a new Lexus LS today.